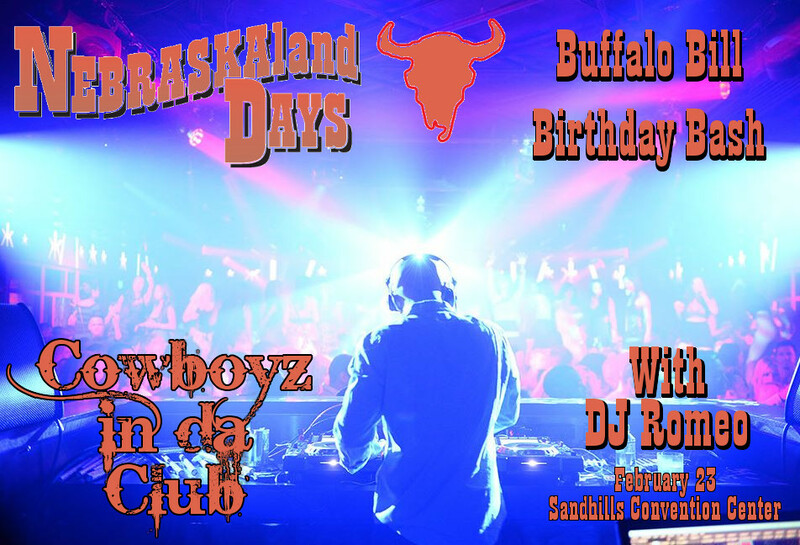 Annually one of the best parties of the year, the Buffalo Bill Birthday Bash is back…..with a twist for 2019! Cowboz in da Club features DJ Romeo, a veteran mix DJ from Lincoln who performs all over the United States! DJ Romeo will roll early favorites from all genere’s, then mix it up as the night goes along! We start with a reception and live auction beginning at 6 PM, doors to the Ballroom open at 8, and our infamous Hospitality Booths open at 9 along with the hits from DJ Romeo.